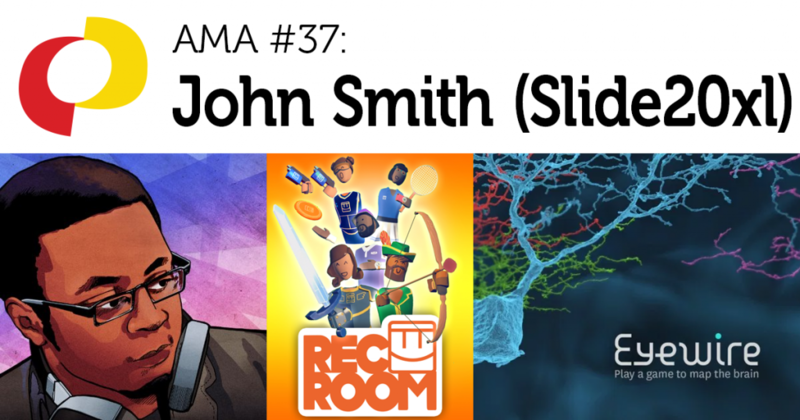 John Smith is a composer and sound designer based in Seattle who works under the name Slide20xl. His credits include music and sound design for the VR title Rec Room, the neuroscience game EyeWire, and an upcoming rhythm game which will feature music from Grant Kirkhope and other big-name composers. Check out his website and Twitter. 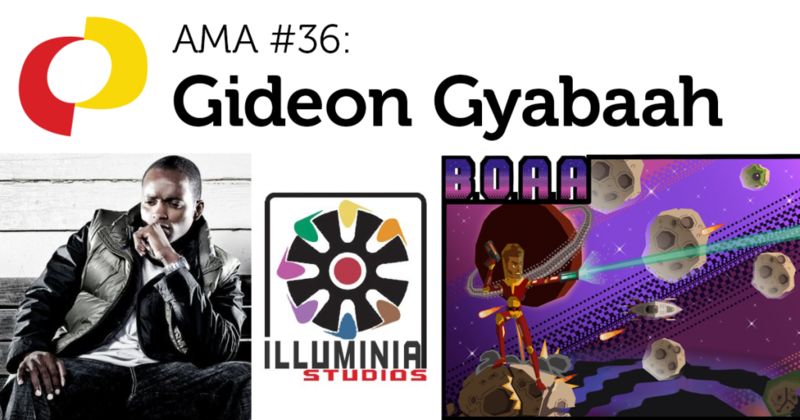 Categories Industry Speaker Series: "Ask Me Anything"
Gideon Gyabaah is an indie game developer who grew up in Ghana and Côte d’Ivoire. He currently lives in Canada where he attended university, then worked as a web developer, a game development instructor, a developer at GameTronics (they make electronic slot machines), a localization engineer at THQ. Today he runs his own indie company called Illuminia Studios, where they make games inspired by Afrofuturism and other Indigenous cultural thematics. His current game is called BOAA (Bounty On An Asteroid). Visit his website and follow him on Twitter. Mike Sellers has been in the games industry for decades. He was the lead designer for Meridian 59, the first 3D MMO game. He’s also worked on The Sims 2, Ultima Online, a mix of indie, AAA, retail, and F2P games, and he once worked on AI for DARPA. He is currently teaching at Indiana University, where he is the Director of the Game Design program. 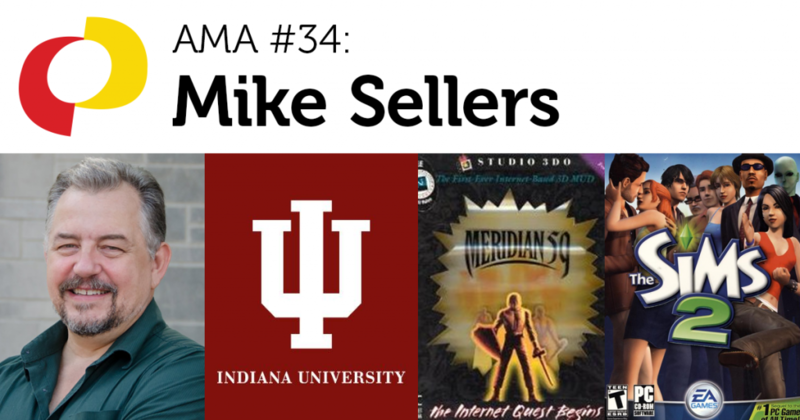 This is a recording of an “Ask Me Anything” (AMA) session with Mike Sellers, hosted by the IGDA Student SIG. If you’re interested in doing an AMA with students, you can sign up here. Elaine works at E-Line Media, the company that created Gamestar Mechanic and they worked with Upper One Games to publish Never Alone. 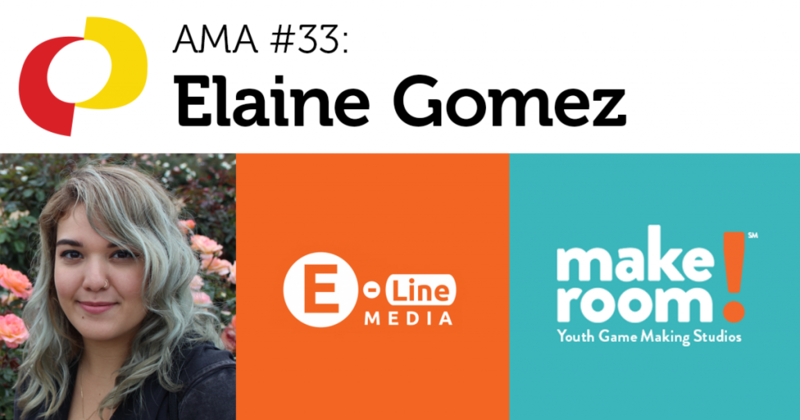 Elaine works as a game designer/content developer, and she’s also an instructor at E-Line Media’s youth gamedev program Make Room. Outside of work, she’s developed over a dozen little games, many of which involved custom hardware. 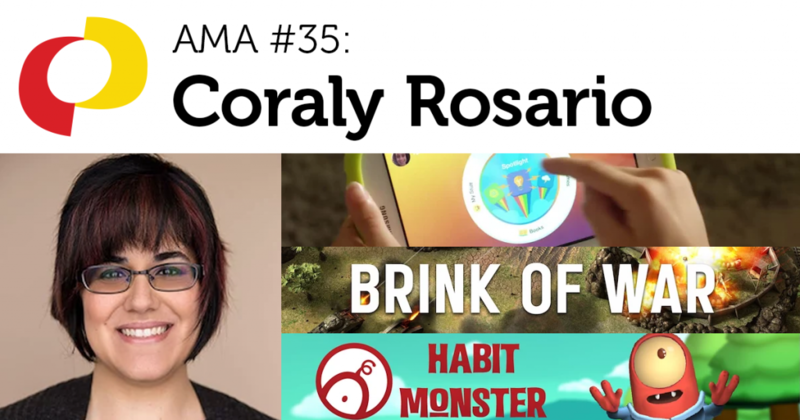 This is a recording of an “Ask Me Anything” (AMA) session with Elaine Gomez, hosted by the IGDA Student SIG. If you’re interested in doing an AMA with students, you can sign up here. 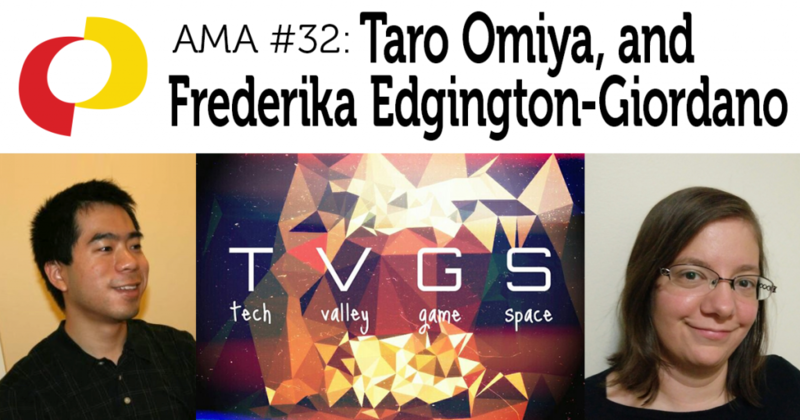 Taro Omiya and Frederika Edgington-Giordano run the Tech Valley Game Space. TVGS is one of the largest non-profit gamedev communities in the Capital Region of New York founded on the principle that games and game-making are for everyone. Taro and Frederika are the directors who handle the co-working office and the educational hub of TVGS respectively. Come learn about what’s necessary to prepare a game-maker community, how one should teach game-making, and the importance of diversity for the game industry. Follow Taro and TVGS on Twitter. This is a recording of an “Ask Me Anything” (AMA) session with Taro Omiya and Frederika Edgington-Giordano, hosted by the IGDA Student SIG. If you’re interested in doing an AMA with students, you can sign up here. Dr. Luke Dicken is Zynga Inc’s Director of Central and Strategic Analytics, where he leads teams in driving innovation across the fields of Artificial Intelligence, Analytics, and Data Science, with a particular focus on applications to large-scale business problems. He is also Chair of the IGDA Foundation, a charity by game developers for game developers. Luke has previously founded his own studio, and he was the first person outside North America to be elected to the IGDA Board of Directors. Follow him on Twitter and check out his website. 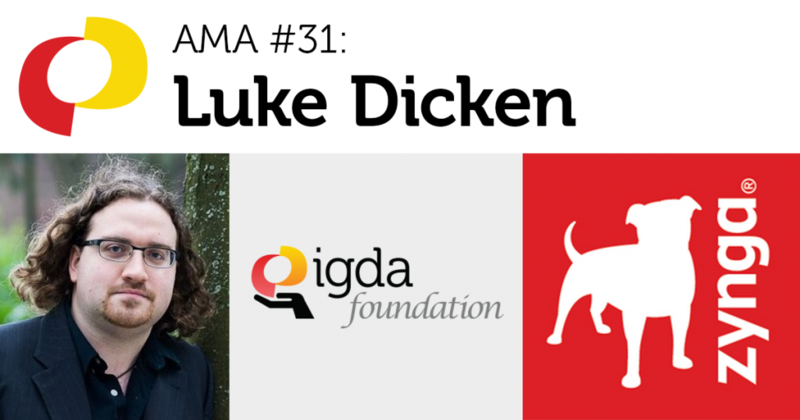 This is a recording of an “Ask Me Anything” (AMA) session with Luke Dicken, hosted by the IGDA Student SIG. If you’re interested in doing an AMA with students, you can sign up here. 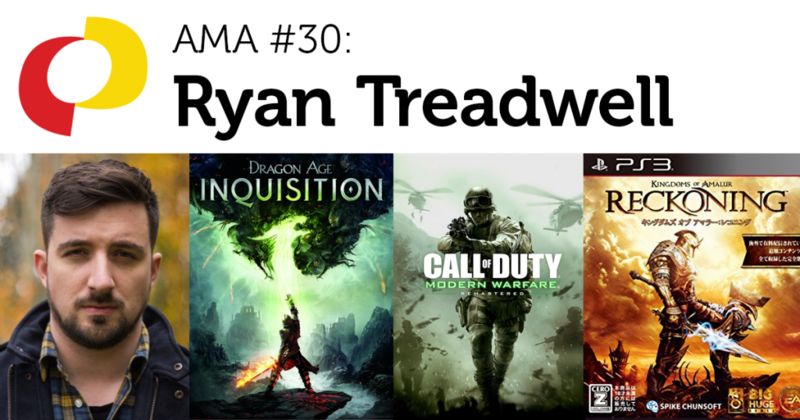 Ryan Treadwell has worked on a variety of games, including Dragon Age: Inquisition, Call of Duty: Modern Warfare: Remastered, Kingdoms of Amalur: Reckoning, and World of Warcraft. He’s worked at Certain Affinity, BioWare, Big Huge Games, Zenimax Online Studios, and Blizzard Entertainment. Follow Ryan on Twitter, and check out his website. Read his advice about what it’s like to be a producer in the games industry. This is a recording of an “Ask Me Anything” (AMA) session with Ryan Treadwell, hosted by the IGDA Student SIG. If you’re interested in doing an AMA with students, you can sign up here. 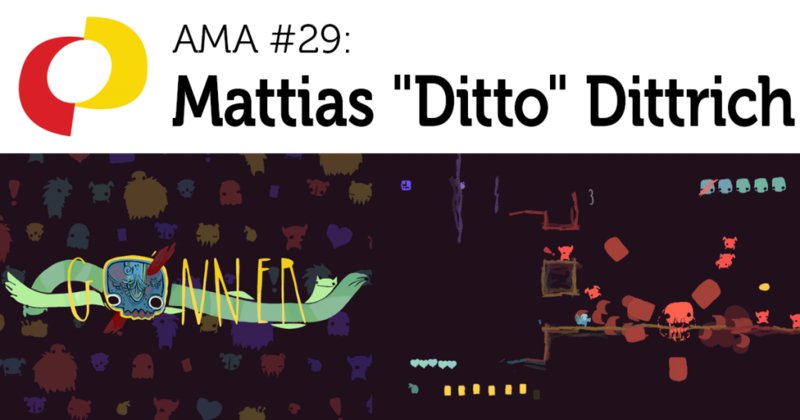 This is a recording of an “Ask Me Anything” (AMA) session with Mattias “Ditto” Dittrich, hosted by the IGDA Student SIG. If you’re interested in doing an AMA with students, you can sign up here. Anthony is an environment artist at Hardsuit Labs, currently working on an unannounced game. He’s been working around games for about 10 years now, originally starting out as an animator and eventually transitioning to environment art. Some projects that he’s worked on include: Desert Bus VR, he made one asset for Lawbreakers, and a variety of indie games listed on his LinkedIn and portfolio. Follow Anthony on Twitter: @agarcellano. 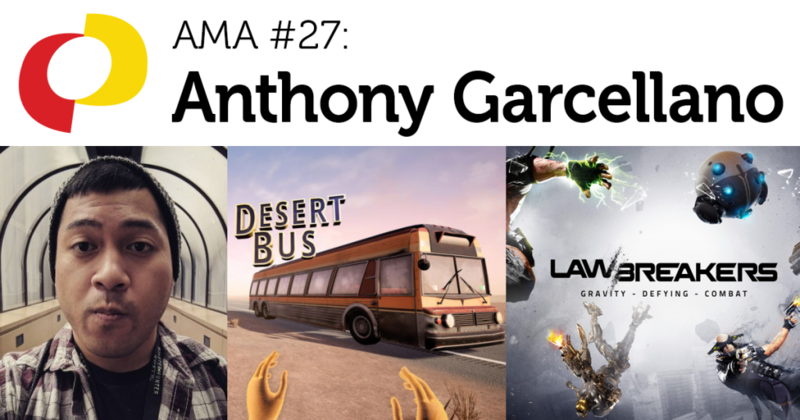 This is a recording of an “Ask Me Anything” (AMA) session with Anthony Garcellano, hosted by the IGDA Student SIG. If you’re interested in doing an AMA with students, you can sign up here.